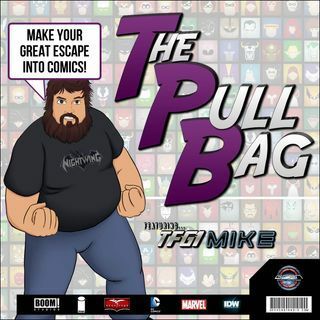 In The Pull Bag's latest interview TFG1Mike welcomes writer Pat Shand back! We talk about Pat's end run on the Robyn Hood series at Zenescope, and after that we get all kinds of info about his new projects such as Clonsters and Destiny N.Y. So join us won't you and listen in as Pat talks about how exciting his creator owned projects have been for him. All inside The Pull Bag!